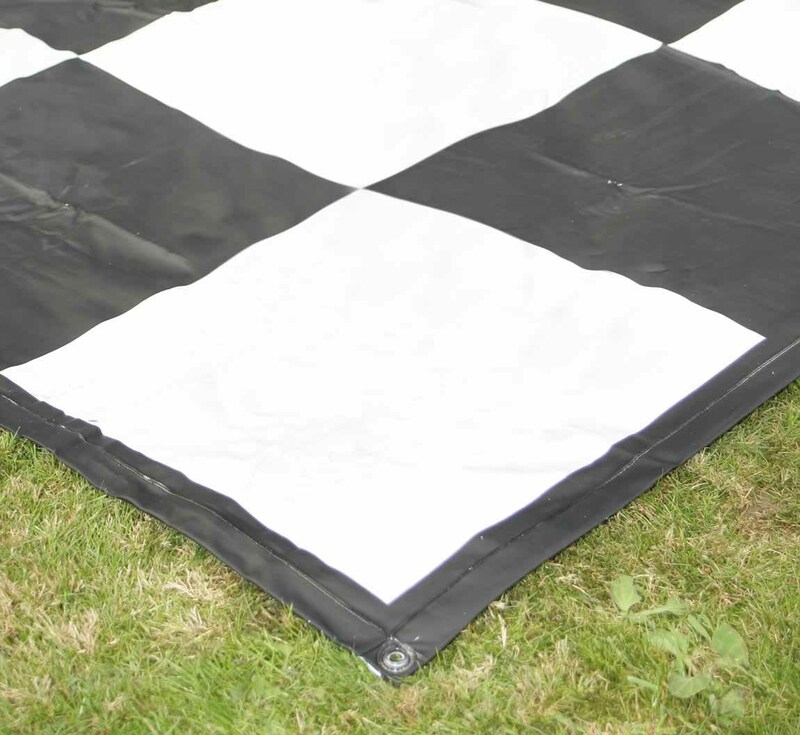 The Giant Chess Mat which measures 3x3 metres featuring the 8x8 chequered configuration. The Chess mat can easily be folded out setting up your chess board, ready for your game of Giant Chess or Giant Draughts/Checkers. The Chess mat is made from durable PVC making this mat easy to clean and long lasting.